Our professionals use their knowledge and experience, in combination with innovative technology, to provide excellent hearing care. 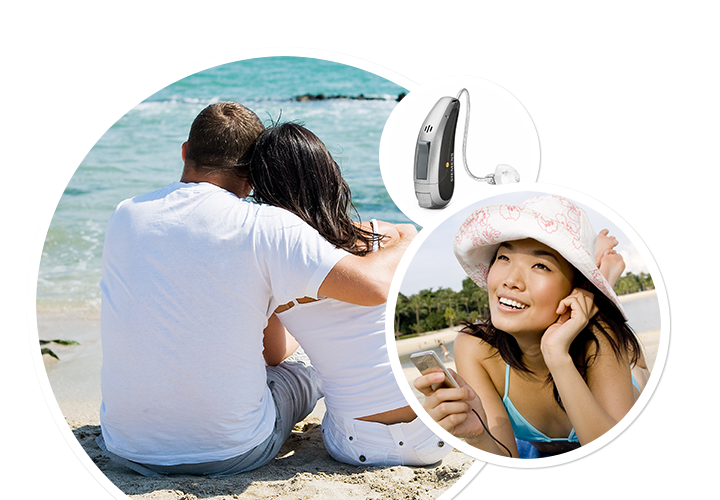 We understand the importance of the ability to hear, finding a solution to your hearing problem. Hearing Survey - how is your hearing? Find out now. Musicians - Protect your ears. Learn more. Sudden sensorineural hearing loss (SSHL) is a type of hearing loss that occurs suddenly in the inner/middle ear. Patients usually notice a decline in their hearing after hearing a sudden “pop” or after waking from a night’s rest. This loss of hearing is most often unexplainable as only 10% of cases have been linked to other conditions and illnesses. Patients usually put off seeing the doctor after experiencing this hearing loss as they think it is something that will pass. This is, however, a big mistake. According to a recent study, SSHL occurs in every 20 per 100 000 people, 90% of whom experience SSHL in only one ear. Some babies are born with SSHL as a result of genetic factors. Symptoms of SSHL can include muffled sounds, dizziness, loss of balance, difficulty hearing high-pitched sounds, not being able to isolate certain sounds if there’s a lot of background noise, and tinnitus. Tinnitus is a constant buzzing and ringing sound in your ears. Doctors recommend that you immediately see your GP or ear, nose and throat specialist. Putting off getting your hearing checked puts you at greater risk of it not returning to normal. Research suggests that SSHL be attended to and treated within 24–48 hours. Even then the chance of recovering one’s hearing is only 50%. The American Hearing Research Foundation notes that should one wait more than two weeks before attending to the hearing loss, recovering one’s hearing is close to 0%. The difficulty about SSHL is that you may mistake it for being a temporary hearing loss. You may think that it is simply an earwax or fluid blockage that will clear in a couple of days. The problem is that the symptoms in both cases are pretty much the same. That is why any kind of hearing loss needs to be checked, just in case it's something more serious. If you suffer from an ear infection, head trauma, blood circulation issues, Ménière’s disease or neurological disorders like multiple sclerosis you may be subject to SSHL. Doctors commonly treat SSHL by injecting steroids into the inner ear. The steroids help to reduce any swelling and inflammation that may have occurred in the ear. How is your hearing? Take our online hearing survey. About 20 percent of adults in the United States, 48 million, report some degree of hearing loss.